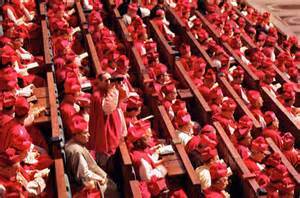 The Second Vatican Council (1962-5) stands apart as one of the single most important events of modern Church history, not only because of the number of Christians that the Church at Rome influences, but also because of the magnitude and depth of the canons of the council. While a thorough examination remains outside the parameters of our course, here we examine three of the most interesting and impactful sections of the Vatican II documents, those decrees on Indulgences, the Blessed Virgin Mary, and Non-Christian Religions. 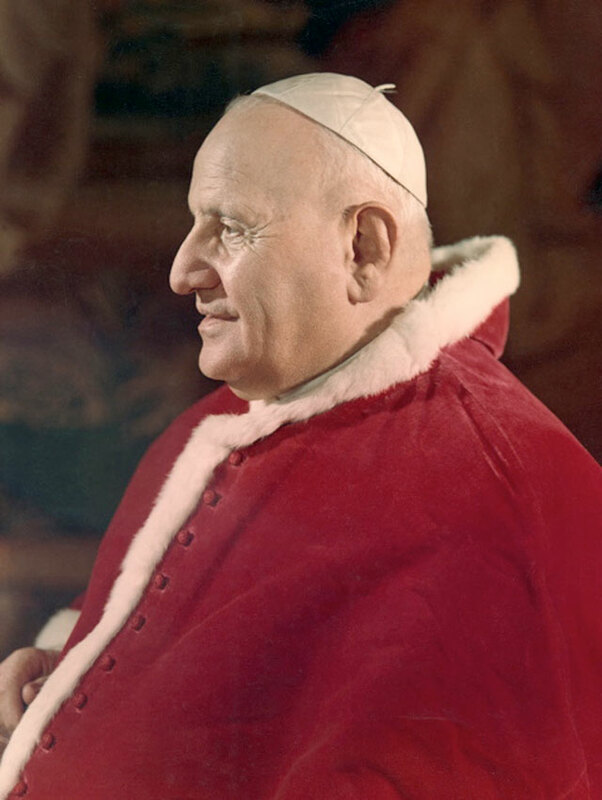 Through our examination of these sections we will note the interesting connection of the Vatican II statements to the history of the Catholic Church. Taking aim at the backdrop of the Protestant Reformation, the Council affirmed the proper use of indulgences in a lengthy section on the topic. While appealing to the Church Fathers and Bishops as having declared indulgences the most communally beneficial method of working out the salvation of all Christians (68-9), the Council ultimately appealed to the historical nature of the practice of indulgences, especially the practices apostolic genesis (62). Vatican II affirmed that a believers sinfulness required two major restorations, that involving one’s relationship with God and another seeking to remedy the social or moral wrongs by accepting appropriate punishment for wrong doing (63-4). The Council affirmed that while indulgences were an important part of the remedy for sin, they ultimately needed to be fortified with proper expiation of sin, reinforcing the belief that indulgences are free gifts of merit from Christ and the saints which spur the believer onto good works (69, 72). While admitting the improper use of indulgences in the past, especially in their use of profiteering (71), the Council framed indulgences as a means of proper Christian charity, by which meritorious Christians, especially Christ, assist Christians who have sinned (65-7). In such a conception, indulgences form an integral portion of the communal nature of the Church as Christians seek to overcome their sinfulness. Cooperation with the entire body of believers remains important, as the ultimate goal of the united Church consists in the entire Body of Christ being prepared for justice and holiness in the Kingdom of God (68). The communal function of indulgences is commended again to the Christian Church in the listing of many benefits of their proper use, including the teaching of Christians to actively discern good and evil in their practices, the need to understand the close connections of Christians to each other, indulgence’s emphasizing the supernatural life, and an inspiration of confidence that the Christian can be fully reconciled to the Father (72-3). Thus with indulgences, we can see the Council continuing to affirm the veracity and historicity of a practice, even while admitting past mistakes. 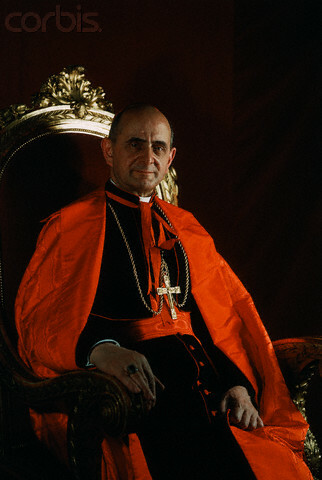 Vatican II also offered several pages of insight into the Roman Catholic conception of the Blessed Virgin Mary, though not without appealing to the ultimately mysterious function of the Blessed Virgin with the place of Christ’s incarnation and allowing a certain amount of leeway in talking about Marian doctrine (413-4). Interestingly, the section on Mary comes within discussions of the nature of the Church, enforcing Mary’s special role and function within the Church as the pre-eminent and unique example for Christians to follow because of her example in the Gospels and the Virgin Birth (414, 420). The Church’s doctrine concerning Mary stems from the general salvation history of the Church, as Old Testament, New Testament, and historical sources are cited. Among these the protoevangelum of Genesis 3.15 and Isaiah’s prophecy concerning the virgin birth are especially important (415). Through his understanding of her place in the Church, Mary exists as a sign of true hope and comfort for the people of God (422-3). In as much as she stands as an example for the faithful, the Council also affirmed Mary’s special role as theotokos, Mother of God. An integral part of this conception involves Mary’s own fullness of grace from the time of her own conception, which allowed her to purely contribute to the pure and holy Christ (415-6). As Mother of God, Mary also holds a special intercessory role, which the Council affirms neither overshadows nor diminishes Christ’s role as intercessor, but instead reinforced His importance while drawing upon the superabundance of His merits before the Father (418). Thus Mary stands apart not only as the Mother of God, but also as the spiritual mother of all Christians because of her reliance on Christ’s grace. This function has only increased in importance as she now intercedes for the faithful from heaven, though in a clearly subordinate role to her Son (419). Empowered by her example, the Church on earth now seeks to fulfill the Marian role of comforting the faithful and encouraging them towards holiness as they conquer sinfulness (420). Mary, now rightly honored, called the Mother of God, preached, and “worshipped” (420), bids Christians to come follow her Son in sacrifice and love of the Father (420-2). With Marian doctrine, we can see the Church affirming the relatively recent developments of the Cult of the Virgin Mary that simultaneously affirms the historical nature of such beliefs, while allowing for continued theological inquiry. For our final topic of consideration, we turn to the brief but powerful section on the relationship of Roman Catholic Christianity to non-Christian religions. The Council begins with an affirmation of the bonds of friendship between the different peoples of the world, and promotes unity and charity among all peoples from their common humanity and community (738). It is understood that human beings look to the various religions of the world as a means by which to answer the riddles and questions of life concerning ultimate anthropology, ontology, morality and ethics, and teleology (738). The Council affirms that throughout time and place there has been a general recognition of a hidden power, or supreme being, or Father and that the ‘higher’ religions have sought to formulate reasoned answers to the questions of life based on their understanding of the transcendent (739). Here are referenced the admirable qualities within Hinduism, Buddhism, Islam, and “other religions” that calm the hearts of men, and for each of these religions the Church encourages dialogue and appropriate collaboration (739). Worth quoting at length is a passage on the relationship between the Church and other religions: “The Catholic Church rejects nothing of what is true and holy in these religions. She has a high regard for the manner of life and conduct, the precepts and doctrines which, although differing in many ways from her own teaching, nevertheless often reflect a ray of that truth which enlightens all men. Yet she proclaims and is in duty bound to proclaim without fail, Christ who is the way, the truth, and life” (739). The relationship of the Church to the other monotheistic religions is both positive and apologetic. In considering Islam there is much affirmation of the commonalities between that religion and the Church, as well as attempts to move past historical conflicts toward future mutual understanding and collaboration (739-40). In considering Judaism, the “stock of Abraham” are said to share a common spiritual heritage that places them firmly within the historical considerations of the Church (740). This common heritage and connection leads the Council to encourage further mutual understanding, theological and biblical inquiry, and a continued rejection of anti-Semitism and the persecution of the Jewish people (740-1). Ultimately, the Church argues in this section that its duty involves proclaiming the cross of Christ as a “sign of God’s universal love and the source of all grace” (742). With the topic of non-Christian religions, as with indulgences and Mary, we note the apparent flux with which the Council treats the past. Moving from a long-standing position on the inaccuracies of other religions, the Council affirms at least portions of the major world religions, especially Islam and Judaism. While not papering over past differences, they are essentially set aside in favor of future collaboration and understanding. This seems to be neither a rejection of the past, nor total avoidance of it, but instead a careful calculation that seeks to balance the good and bad of the past in a manner that allows for a fruitful future. 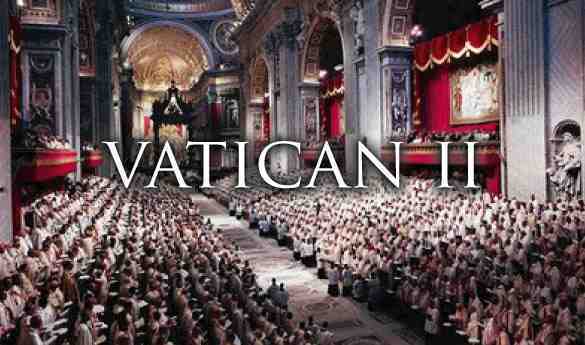 All pages citations are from Vatican Council II: The Conciliar and Post Conciliar Documents. General Editor Austin Flannery, O.P. Costello Publishing: Northport, NY, 1977.